Raabta is a famous takeaway eatery in Netaji Subhash Place. It's known for serving delectable Italian fare, street food, and beverages. I had heard a lot about this place so I decided to finally pay a visit. 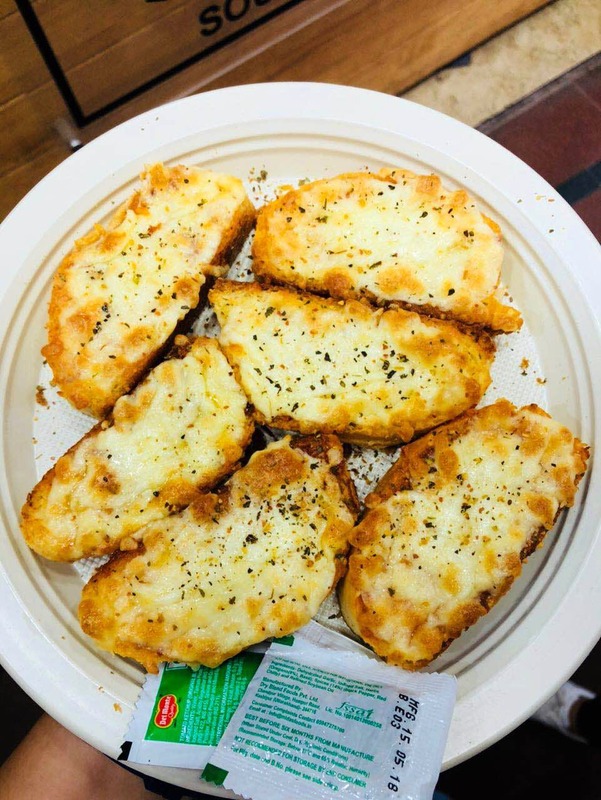 I ordered their cheesy garlic bread, it was really delicious with fresh cheese poured all over it which gave it a great cheese pull. The service was good and the staff was nice. Though there is rarely any sitting space, the food served here somehow makes up for it. They should make some seating arrangements. Bae, Kids, and Big Group. The Drone Pizza At This Little Outlet In NSP Is A Must Have!